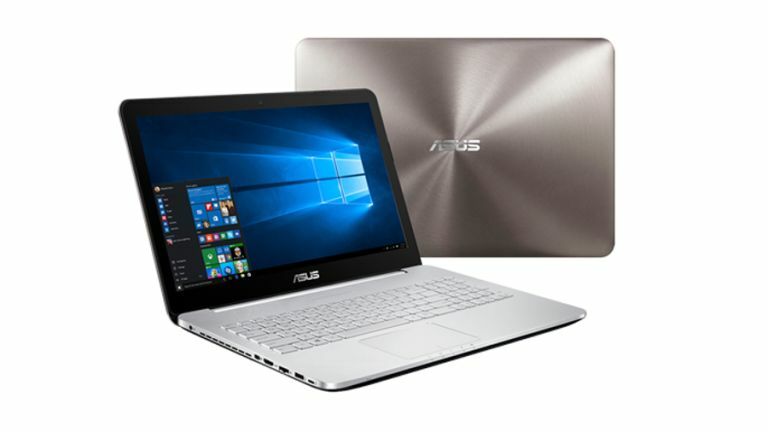 Asus has launched a pair of new laptops in its N Series, machines which are designed for entertainment – in other words, gaming and watching movies. There are two Windows 10 notebooks being launched – the 15.6-inch N552 and a larger 17.3-inch N752 model. Both of these offer very tasty screens, namely IPS panels with up to 4K resolution (for a super-sharp pixel density of 282 ppi in the case of the 15-inch model). The display also boasts an ultra-wide colour gamut of 100% sRGB and 74% Adobe RGB coverage, meaning colours are impressively vibrant and accurate (an 'Eye Care' mode is also present to reduce levels of blue light by up to a third, helping to combat eye fatigue – this is becoming more and more common with computer screens). Powering this you get a Skylake Core i7 processor backed by up to 16GB of DDR4 RAM, and on the graphics front there's an Nvidia GTX 960M for pixel shifting duties. Level loading times certainly won't be sluggish either, given that you get a PCIe x4 SSD on board (up to 512GB in size). Asus also wants to have some impressive sound for your games and films as well, incorporating SonicMaster front-facing speakers to deliver clear vocals and deep bass, the company claims (although there's always a limit to the low-end sonic power a notebook can manage to muster). There are six preset audio modes so you can switch between them as necessary depending on whether you're listening to a 'banging tune' or blazing away with a submachine gun in an online shooter. These are smart looking machines, featuring an aluminium lid and keyboard surround, along with a ripple effect design around the speaker grilles, and a softly illuminated logo on the laptop lid. As well as a light on the lid, you also get a backlit keyboard, and Asus claims the ergonomically designed keys provide a comfortable typing experience. There is a sizeable trackpad on board too.